Avis has a long and reputable history in the automobile rental sector, with its founder Warren Avis opening his first rental location outside a Detroit airport. Starting off with just three cars, Avis today operates across the globe with over five thousand locations and 165 different countries. Being one of the biggest names in the business has led to Avis being seen as a safe pair of hands when hiring an automobile - you only have to ask a former customer to ascertain the quality and level of service that Avis offers. With an enormous range of services available like Van Rental, Core Range, Avis Select Series and Avis Prestige, Avis are proud to cover every need, requirements and want when it comes to hiring. Avis has won a plethora of car hire awards, most recently the Best Car Rental Company 2017 at the Business Travel Awards. Click through today and discover the quality, convenience and price of the world’s leading car hire company. How do I use my Avis discount? Download the Avis mobile app to manage your booking and get offered discount and special prices. Can I change my Avis booking? If you wish to change your Avis booking simply call the Avis reservations team. You will not be charged for any upgrades unless the change costs more. 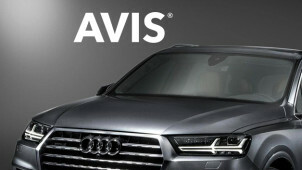 Can I hire a Avis car with points on my licence? You cannot hire a car in the UK, if you have any unspent driving convictions for careless, reckless or dangerous driving, driving or attempting to drive whilst under the influence of drink or drugs, using a vehicle uninsured against third party risks, and or theft. Can I drive my Avis car abroad? Some border crossings are restricted so check with Avis’ reservation team or check when booking onlines. You can drive your hire car from the UK into mainland Europe, but you will need to take out Continental Cover first. This provides insurance and breakdown assistance. Once you place your order, you will receive a confirmation email and all the information that you require. Any updates with your order will also be emailed to you. If you are unsatisfied with the service that you have received from Avis then please mail customer.service@avis.co.uk, and Avis will try its best to resolve the situation. Who needs to actually own a car nowadays? With fast, flexible and cheap hiring services provided by Avis, you can get to where you want now! Use our Avis rent a car vouchers, and book a clean, modern car at your convenience, and forget about worrying if you need it for longer than you envisaged. Hiring is a breeze, and you can feel safe in the knowledge that you’ll soon be driving around without a care in the world. Were you aware that Avis caters for more than just motorists with their cars in the garage, and holiday makers off to explore another country? Avis is proud to offer a complete and streamlined business section, capable of making the kind of impression that your business deserves. With fancy corporate looking vehicles likes Audis, trusty vans for carrying, and luxury vehicles like Mercedes, you can be certain that Avis can handle your business needs to a tee. If you demand the very finest in your driving experience, explore the Avis Prestige Car section for the greatest in luxury vehicles for hire. Use our Avis car rental discount codes and choose from the pick of the world’s most reputable brands, for the journey of a lifetime. If you are planning a trip through Europe, or wish to make a statement when meeting someone, get into a deluxe vehicle worthy of a movie star or a footballer and put the keys in the ignition!